At the basis of all of our Rides stands a long history with a wide experience and a high standard of specialized know how in the field of Ride Manufacturing. Our team of highly specialized engineers and technicians use the most updated and sophisticated programs for static & dynamic calculations such as Straus and Adams. For the technical Design of all the Rides programs such as Autocas 2D, Inventor 3D and Solid Edge are used. 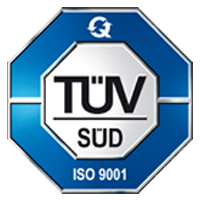 Our team of engineers is working closely together with the world’s famous Approval Institutes such as TÜV , Vincotte or ECO respecting the most severest- and latest standards worldwide such as EN, ASTM, GB or GOST just to name a few. Our Company is also ISO-9001, EN 1090-1:2009+A1:2011-EXC3 and ISO 3834-2:2006 certified and uses important quality systems to make sure the safest rides come out of the production. Factory tests are made in order to test the ride on safety, quality and strength.